Listen to this audio devotional today and “remain” in His love. The Bible reading is from John 15:1-11, NIV. Oklahoma is about to have a governor in November that’s a woman, regardless. No matter how you vote. Unless there’s an Independent, or something. Women come to us, and many of you are teachers, and superintendents, and principals of your schools, and business leaders, doctors and nurses. You lead where you are, and you come into the church, and it seems that there’s a different environment from a natural environment. Why is that? Unfortunately, over the years, these short passages taken from Paul’s letters extracted, have been taken permanently, and extracted from their context, rather than taken contextually, and viewed as temporary injunctions for specific reasons by Paul. So that a particular group of women can learn, and begin functioning as a body of Christ, gifted to teach, and lead in the mission of spreading the gospel worldwide. Women did that all throughout. Women helped Jesus throughout his ministry. They were right alongside of him, all the way to the foot of the cross. In Paul’s own instructions in 1 Corinthians 11:5, where he instructs women and men when they pray, when they prophesied, “Women you should cover your heads.” He regulates it because of some cultural concerns of the way Jews and Gentiles, and different people were experiencing one another. Those head covering issues are still — goodnight, France is still dealing with that problem. These are cultural things that occur, that Paul was trying to address, but sometimes we get wrapped up in discussions of head coverings and silence, that we forget that he’s talking about how to humble ourselves, men and women, as we come before the Lord to learn as disciples, and then to go out, and lead. We looked at the context. We’ve looked at Paul’s concern for the gospel spreading. Let’s look at one more aspect of a doctrinal teaching that is super important, and that is the fall versus the new creation. The fall versus life in Christ. That is so super important for us to understand. We’ve looked at these, and we’ll look at three major views of the way we view women in ministry and leadership. First is the hard patriarchy. Patriarchy, meaning male leadership. Hard patriarchy says that there is a divine order that is ordained for all time, and males should guide and lead, and the females should support and serve. In doing this, peace will reign. That’s a concept that’s very crucial to hard patriarchy, that if you mess this up, then that’s why we’re getting problems in marriage, and churches, because people have not held to this hard patriarchy. Soft patriarchy is a second view, and basically where Garnett is, in what I read earlier in our heritage documents. In other words, they take statements like Genesis 3:16 as prescriptions, rather than predictions of the rivalry that is now going to exist under the fall. What does Genesis 3:16 say? It says, “And it is part of the curse.” God curses the serpent after the sin of Adam and Eve. He curses Eve, and then he curses Adam. 3:16 is part of the curse of Eve. It’s the last line of the curse. It says, “Your desire will be for your husband, and he will rule over you.” This is not supposed to be. This is part of the fall. It’s part of the curse. It’s a prediction of what’s going to happen. That males will dominate, and try to rule over women. One of our problems, however, is that we read passages like Genesis 3:16, and we think this prescriptive for all time. Rather, Genesis is describing a falling condition that God very much intends to redeem in Christ. In the falling state, men suppress, oppress, and abuse women. That still happens, very much today, worldwide. But, women try to work around it. They do a lot of working around. That includes things like, saying one thing and doing another. While men oppress and abuse, women have had to adapt to that suppression. Sometimes with passive aggression. To live in a new creation state–if we were to live in this new creation, instead of under the fall–it changes every relationship, and gives us news ways to communicate more directly to one another. If we’re going to do that, we’re going to have to develop those kinds of things, because we’ve been accustomed to learning how to communicate under a fallen state, not acknowledging enough what Christ has done for us. In a fallen state, men yearn to dominate women, and fallen women yearn to dominate men. Which brings up the question, if a man speaks in the woods, and there’s no woman there to hear him, is he still wrong? Yes. OK. Get that straight. The story of the bible is about a new creation in Christ, over against the old creation, the fall, and what happened at that time. Christ has come to establish, and return all of us in the church, and body of Christ into a new creation where oneness rules, and not the rivalry, and the enmity. The third view–there’s the hard patriarchy, soft patriarchy, and the third view is based on new creation. Christ has come to redeem relationships, and the whole creation. Mutuality is the third view. Mutuality, in this view, in the life in Christ returns us to the mutuality God intended for all creation. Mutuality believe that women’s responsibility is to give God glory, to love her husband and children. Similar, or same as patriarchal views, but also believes the gospel makes men and women one again, in many ways. It doesn’t mean the genders are merged together. The genders are still intact with strengths and weaknesses that we should honor. In church, and society, and marriage, it touches all these areas. The spirit leads women and men in our roles, and breaks down some of those traditions that bind us, but the spirit must decide that. What are women allowed, and permitted, and gifted to do? In the Old Testament, and New Testament we’ve looked at some of those passages. God created them to be as equals, but opposites for relationships, and companionship. That’s what happened when the creation of man and woman occurred, but also relationship with God. To bear the image of God, and to bear that image at birth, and marriage, and to honor husband and wife. And for women themselves to reflect the image of God, to be co-creators along with men. Another quote from FF Bruce, who said–when asked about women participating in church leadership, FF Bruce said, “I am for whatever God’s spirit grants women gifts to do.” That’s what I’m for, is whatever the spirit of God grants women gifts to do. It’s the same as men. We have to pay attention to that in the local church. We don’t have anybody looking over our shoulder in a local church. We get the honor of being autonomous, and deciding these things for ourselves with our leadership, with input from the congregation. That’s a wonderful honor. Galatians 3:26-28 should guide us in this. 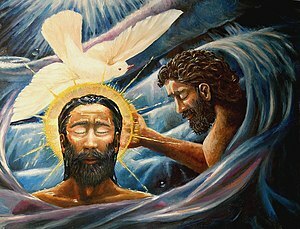 In Galatians 3:26-28 says this, “In Christ Jesus, you are all children of God through faith, for all of you who are baptized into Christ have clothed yourselves with Christ. There is neither Jew nor Gentile, slave nor free, male nor female. For you are all one in Christ Jesus.” Paul is not the chauvinist I once thought he was. Now, he’s not — I believe — bent on silencing women. Even more, he’s more forward-thinking than his contemporaries, wanting women to learn, and then teach. He’s concerned for the spread of the gospel, and mutuality, and the upside kingdom, returning men and women to good relationships that were intended from the very creation. When I was young — I’m going to go back to where we began, to that little church where I grew up. A wonderful church. On Sunday nights, and Sunday afternoons, the boys would go to something called Timothy class. Where we learned to blow a pitch pipe, and wave our hands in some kind of different ways, and lead a song, and do a devotional talk, and say a prayer, but my two sisters were not invited to the party. There was a separate, but equal kind of class for the girls in some churches. I wouldn’t necessarily call Timothy class spiritually forming, in so many ways, but it was a beginning to a vocation and calling for me in ministry that I value, but my sisters didn’t get to have that. They weren’t allowed to speak. Even to do something as basic as saying a prayer. To communicate with God, publicly, in our church. Now, these traditional roles of women I mentioned, and many of you have been doing these for so many years. I should be ashamed of myself if I did not emphasize the glory God has received through the gentle hearts of you women who have been serving in this church, and in many churches all over the world for many, many years. I think of the gentle heart of my mother, who has served quietly in her church for six decades. Creating places for fellowship, cooking, and baking, and doing — no doubt — what would stack up to be a mountain of peach cobblers and cinnamon rolls for the bereaved, and the sick. My mom has done twice the stuff that I’ll ever think about doing in my lifetime. She taught me how to pray, but she couldn’t get up and pray in our church. I always wanted to hear her do that. My dad was wise enough to ask her to do that at home. My sisters got to pray at home, too. The last thing I’d want to do is hurt my mother’s heart or any of your hearts or the body of Christ. Hear me say loud and clear that God has worked and is working and will continue to work in traditional churches, like I grew up in, and he’ll work in this church. No matter what we do as long as we stay close to the Father and the Son and the Holy Spirit. But it’s people, like the faith of my mother, whose voices I believe we ought to hear praying aloud in church. The women at Garnett are some of the most prayerful, intentional and faithful prayers we have in the congregation. They’ve served and taught and prayed and led ministries, gone as missionaries and do all that male counterparts in Christ do in ministry and service. Women’s group meets specifically to pray over the church. They met last night. They met today to send forth reapers into God’s harvest to pray for leaders in our community. Why not fully open the door to allow them to pray regularly in our assemblies? I want something for my daughters and my granddaughters and for all of our daughters, for the women at Garnett, for our sisters. My sisters turned out to be great people, but I want something in addition for my daughters and for yours. I want them to be spiritually formed and I want them to be able to pray aloud in church without us saying, “Uh-oh.” I know of people who have left the church because we don’t do enough for women and I’ve known some that have left because of the things I’m saying today, the kinds of things. The concern that Paul has is also the leader’s concern that we have order in our church and so the Gospel of Jesus Christ can be preached. We can all live out our calling and spread the Gospel, including the other 50 percent of our body that we sometimes squelched. We want to see women spiritually formed and taught and then to lead and voice prayers of the psalms and recite scriptures and pray aloud in our worship, our small groups, our Bible classes. Our shepherds, our church documents and scripture do not prohibit women from praying, let us begin to practice what neither we nor scripture prohibits. Let’s give women and men, who are taught and gifted, opportunities to pray during worship, to lead the Praise Team Women, lead the Praise Team, that even to take that step in front and do what Shawn’s doing and lead us, lead the whole Praise Team, pray when we have collection and communion and say the “The Lord’s Prayer” and give mission talks. We’ve done much of that, but it would be great if we could give up that “uh-oh” response. Women and men must both learn in submission of Christ and be led by the Holy Spirit and then freely lead here at Garnett. Men and women taught the way of life in Christ and led by the Spirit ought to pray aloud. Today, as we enter into the communion, Karen Garland has no desire to stand up here in front of people, but I asked her to do so anyway. May we work out what it means to be the body of Christ today. After Karen’s prayer, if you’d like to stay seated, the ushers will pass the communion to you or you may get up and go to the table. Karen, go ahead and come on up. Karen’s going to say a few words and then pray for us. Karen: Hello to all of you who don’t know me. I want to introduce myself. I’m Karen Garland. I’m Robert’s wife. I’m the Garland that does not have the gift of public speaking, but I am, however, the only Garland that truly speaks German. Karen Garland: I’ve been thinking lately about Greg’s sermons, that maybe I’m not the only woman here that likes to hide behind the unwritten law that we, women, should be silent in our church. When, in reality, I actually greatly fear standing here speaking publicly. Did you ever consider that when we don’t participate in church by teaching, praying or speaking out loud, that what we’re really doing is failing God? Remember that he told us to be a shining light into the world. We must not hide ourselves under baskets of our making. We want our children to come to us, to talk to us daily because that’s how we create a strong bond with them. God wants us to come to Him daily for the same reason. Just as we are expected to teach God’s lessons to our kids and grandkids and even people we don’t know, God wants us to stand up and speak up when the opportunity comes our way. I know there are many others out there, even among you guys, who are silent for many reasons. We’re just plain shy or think we don’t know enough and we’re never taught how, or whatever the reason is, all of these are crutches. Trust in God that He can lead you the right way to speak out loud to Him. There are people in this church that can help you, too, if you ask. They can teach and encourage us. It’s no crime or shame in asking for help. God would want us to do that. The fact is we need to get over it and get on with it and do whatever it takes to participate in our homes, this church and the world, irregardless of our fears. Why should we pray out loud? Excuse me, I told you. We should pray out loud in our homes and in our church to honor God, trusting that with His help, we’ll get better at it. We need to step up and not be watchers, but be doers for God. Will you pray with me? Dear Abba, Father, you’re an awesome God, and I pray to you today, Lord, to confess a sin that I’ve been committing all my life. I’ve been putting myself before you by not learning to pray out loud in church and at home. I know that each time I do that I fail to honor you. Please forgive me, Lord. Help me to draw closer to you and to honor you by being the kind of child that honors you in prayer, out loud or silently, at home, at church, and in the world. Greg: Let’s go to the tables. [whispers] Thank you. Karen: [whispers] I did it. Next I’ll post the audio of this sermon, “Women Praying Allowed,” and then post some further observations and the story of the Garnett Church of Christ’s development in expanding women’s roles in the church since 2010. Three reasons why we need Women Praying Aloud in the Church, my children from left, Anna, Ashley, and Jacob. My daughters, and my son need to hear and see women praying in our church. In Part 1 of “Women Praying Allowed,” I introduced the context of women’s expanded roles in leadership at our Garnett Church of Christ, set parameters of the discussion, and looked at Old Testament passages, Psalms in particular since in 2010 we were in a series based on a book I helped Lynn Anderson finish while he was going through cancer treatment. The book is titled, Talking Back to God. It is really hard for me to imagine that my daughters cannot also talk back to God aloud. That’s the kind of church I believe God desires: one where we His creation, men and women, all people are talking and listening to Him. As I said in Part 1, Garnett Church of Christ is committed to the Bible, and I mentioned several of our local Bible teachers who help us dig into the Word of the Lord. I’m indebted also to Mike Cope, Sara Barton, Scot McKnight, and many others who helped to open my eyes to new things in the Word, in particular, some of the things that we’re going to talk about today. We hear God’s Voice though the Word and through these people. In Part 1 we looked at Old Testament WDWD (What Do Women Do) passages. Now, let’s go to the New Testament to look at both WDWD passages but also the WKSP (Women Keep Silent Passages). In the New Testament, what did women do? The third female psalmist that we’ve mentioned…we’ve mentioned psalmists Miriam and Deborah and now Mary. Mary is credited with a psalm, we call it the Magnificat. It’s sung a lot of times around Christmas. It’s found in Luke 1:46-55. Mary’s Magnificat not only magnifies God, but also proclaims that future generations will call Mary blessed. Frankly, because of the Protestant churches looking at the Catholic church and being nervous about exalting Mary and we don’t want to do quite what Catholic churches seem to do and exalt Mary. But we need to pay attention to Mary and her influence. She was a very influential woman. She carried the Lord in her body. The image of God himself was in her. She delivered the Messiah and she cared for him. She brought him up and she taught him how to pray. She had a great influence on the Messiah. We also believe that she was a major source of information for Luke’s Gospel and also a major influence on her son James, Jesus’s brother. He was another New Testament writer. Mary was an incredible influence in the early church. Anna is another prophet. She’s described as a prophet in the New Testament in Luke 2:36-38. She fasted and prayed and prophesied in the temple. It says in verse 38 that she proclaimed, that she spoke out about this Messiah when Joseph and Mary brought young Jesus into the temple. Now, Romans 16 is a who’s who of church leaders written by Paul. At least three of those people are women. First, in Romans 16:1 is Phoebe. Phoebe is described as a deacon in Cenchreae and a benefactor and patron of the apostle Paul. A benefactor would have been tasked with taking a letter of someone like Paul, a teacher. It’s understood that Phoebe took the letter to the Romans to the church in Rome. She would have been expected to read it aloud and to explain it. Phoebe likely would have been the first commentator of Romans. She was called a deacon and as such, she would visit the sick and relieve the poor and work on finances. Those are described in 1 Corinthians 3:5-9, and 1 Timothy 3:8-12. In verse 3 of Chapter 16, we meet Priscilla. But Priscilla and her husband Aquila are mentioned throughout the New Testament several times. Priscilla with her husband Aquila are co-workers of Paul who risk their lives. In Acts 18:26, it records that Priscilla and Aquila explain the Gospel more adequately to a man named Apollos. Priscilla is mentioned first in most of the references including the one in Romans 16:3. With just a few exceptions, Priscilla is mentioned first. Which is possible in New Testament in the times, the writings, a woman could be mentioned first but not always. There’s some significance to her role in the early church. In Romans 16, further down, I believe it’s in verse 7, there’s another mention verse 7 of Andronicus and Junias. Some of your Bibles say Junias and some of them say Junia. There’s been some discussion about whether that’s a man or a woman. If it renders Junias, that interpreter or that translator, figures that it’s a man. But some of your Bibles say Junia, J-U-N-I-A. It’s corroborated by Saint Chrysostom, an early church father, who writes of Junia as a woman and one of the great early apostles, albeit one of the lesser known apostles like Barnabas, not one of the original apostles who is with Jesus. What did women in the New Testament do? At least these examples that I’ve given you. They’re deacons. 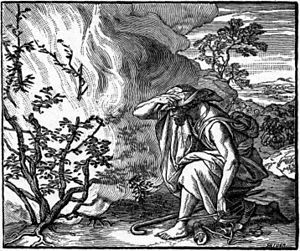 Junias may be an apostle. Influencers of Christ and the gospel writers. James, they’re prophets, theologians, readers, prayers, risking their lives, pasturing churches, helping to plant churches, coworkers of Paul. Do we permit in our church today in the 21st century what the Old Testament and the New Testament permitted for women to do? No, we don’t, not in our church. Because of these “Women, Keep Silent” passages, they’ve gotten us to a point where we’re not quite sure how to work that. We fear sometimes opening the circle wider. What really is the context of these “Women Keep Silent” passages? Because to take this discussions seriously, we need to look at what do women do in the Old Testament and New Testament, but to take it very seriously, we also need to look at these “Women Keep Silent” passages, so let’s look at those. These are hard passages. They’re hard to read. They’re hard to interpret. They’re hard to understand. The church has had no uniform view over the centuries but has made a lot of attempts to try to understand these passages because of what these texts say. As a result, to suppress women in some form or fashion because of what these texts say. Why? For two major reasons the church has tried to do this over the years. First of all, we haven’t really fully understood what being in Christ does to our relationships, specifically male and female relationships. There’s a difference between living under the fall and living under the redeemed in Christ life. Christ came to redeem every relationship, including the ones between male and female. We’ll get into that just a little bit more when we look at chapter in Genesis. The second reason is just plainly that we’ve had trouble interpreting these “Women Keep Silent” passages. We’ve done what we can to try and do what’s right. I applaud the church over the years that’s tried their best. We’re trying our best. We do it however imperfectly. Let’s look at the context of the “Women Keep Silent passages.” That’s so important. The context, and one of the big problems that we’ve found in these Women Keep Silent passages is they’ve been extracted from their context. They’ve been used and made into law rather than used in the context and history of Paul’s letters to specific churches in specific times. Many of you know the commentator named F. F. Bruce. He has written commentaries over many years in the 20th century. The conversation was recorded by a friend of mine Scott McKnight, a writer who was speaking with F.F. Bruce late in his life, who said that Paul would probably roll over in his grave if he knew that we were making his letters into Torah, into law. They were written for specific churches, for specific times. We have problems when we try to extract pieces and patchwork and make law out of it. That’s one big problem. It’s important for us to look at the context. Do we imagine that Paul here in what I just read all of a sudden out of the blue in left field decided to stop talking about jewelry? Do you think he had something against jewelry? Do you think he had something against braided hair and he just didn’t like the sound of a woman’s voice? I don’t think so. There has to be a context. We know certain things intuitively, but we still can’t interpret everything because we can’t hear what? We can’t hear the other side of the conversation. Reading the Bible, particularly these letters of Paul, is like listening to one side of the conversation on a phone. It takes hanging up and that person explaining the context for us to fully understand. Let me give a crack at this, the context of these passages in the early church in Rome. The new church was mixed with Jews and Gentiles. It was a huge concern with Paul to help them get along and advance the gospels. That was the top of his list of concerns. Helping Jews and Gentiles and they had all different practices. Romans behaved differently from Jews. Imagine a liberated woman, braided hair and jewelry, coming in, in all the kinds of ways that they act and dress, and a Jewish woman, who would never show her hair, never braid it, never do those things, meet up with a Roman woman. Imagine the looks. Imagine the stares. Imagine the immediate friction that would be there and it was. Paul spends lots of time, if you read his letters over, you’ll see these conflicts, this Jew and Gentile conversation going on. It was at the heart of the gospel for Paul, because if the gospel was for all, it had to be for all. They had to find a way to get along and be unified. That was at the top of Paul’s concerns. That explains some of why he talked about things like jewelry and braided hair and tried to bring peace and a practice for the church. One concern was respectability of the new church movement, not to look like the surrounding culture and fertility cults. These cults were doing all sorts of things, immoral things. In the good Jewish style, the church wanted to distinguish themselves. Why do you think Paul was talking about the childbirth in this passage? It seems from left field. It seems strange, but these cults were abhorring marriage, and abhorring childbirth. They were discovering abortion, and practicing it openly. Paul had to address that. He didn’t want the church to be like that. They had to distinguish themselves from these cults that were going right along. The critics were saying, “You’re just another one of those cults.” You can begin to understand, with the background, why Paul had to write some of these things. When people were coming from so many different world views. They needed to learn the way of Christ. Women would have been less educated in Rome, and Jewish circles. They didn’t get dibs on the education. The men did. The boys did. It’s been that way through a lot of history. Contemporaries of Paul — writers, historians, theologians, rhetoricians — make fun of women who were trying to be learned, who were trying to speak up. Women were trying to attempt that. They were taking the mic, although there was no mic. They were taking the stage. They were trying to break into leadership circles, and that wasn’t taken so well by a lot of the men. That hasn’t changed in a lot of history. Contrast that with Paul. Paul seems to us, on the surface, as chauvinistic. It seems that he has no reason for saying that women should be silent. Listen while I attempt to explain what I think, and what Scott McKnight, and others think was happening in the early church. I think we’ll begin to see Paul differently. I have. Paul wants women to learn. Why does he ask them to be quiet, then? If women had not had the educational opportunities, and they were loose. In some ways the Roman women were loose morally, and loose tongues. They were coming into the assemblies, and they were confusing things. They were bringing chaos. In 1 Corinthians, the whole bit of 1 Corinthians 11 and forward, about tongues, and everything, was all about Paul bringing a sense of order into their assemblies, the church could grow. That was Paul’s concern. He was concerned that their assemblies not descend into that cult-like atmosphere. Rather, they should be the body of Christ. Paul spent a lot of time talking about the body of Christ. Paul asked these new, Christian, Roman women to be quiet until they learned the way of Christ. When they learned and understood the gospel, there’s many examples of Paul interacting as co-workers with people like Priscilla. He mentions her in Romans 16 in very glowing, and honorable terms as a co-worker in Christ. She explained to Apollos, with her husband Aquila, how Phoebe was such a deacon, and a servant. If they were given gifts of the Holy Spirit to evangelize, and to teach, how could they possibly be quiet while they did it? When someone was quiet for a time, coming into a new church, until they could learn. They could be like Priscilla, and Phoebe, Junia, and Anna, and Mary. These women of influence. It’s not whether they are a man, or a woman. It’s if they’ve listened, and learned, and humbly received the gifting by the Holy Spirit. That’s what matters to Paul. They can go forward, and become missionaries. If the Holy Spirit gift them with evangelism, they have to speak. Perhaps this silence was temporary. Perhaps it was not for all women, but for those who were coming in as learners from a new culture, and they needed that temporary learning time in silence. Paul’s principle was this — teach, but before you teach, you need to learn. Be quiet, learn, and then you can go forward in serving, and leading. For a particular group of women, it seems like that’s what Paul was doing. He didn’t really have to say this to the men, because they had the privilege of learning, but I think that principle applies to everyone. It applies to youth. It applies to adults. It applies to men. It applies to women. It applies to Jews. It applies to Gentiles. Learn in submission before you teach. That was the principle. The best explanations of scripture are usually the ones that make the most sense. We’ve been part of a bunch that tries to take the plain, literal sense of the bible, but it still leaves you with all kinds of quandaries that don’t make sense, that don’t add up. I’ve got to tell you, this one for me does not add up. That women should be totally silent. It just doesn’t. It doesn’t make sense. It doesn’t make plain horse sense, for one, because of the, “What do women do?” passages. Then, when you don’t just take it and extract out something, you look at it in a context, it begins to make more sense. In terms of good theology, good doctrinal teaching about who God is, and his character, and how he wants all people, from all time, from the very creation. It all got messed up. He’s been trying to get it back to what he created in the first place, a mutuality and oneness, instead of enmity and rivalry that the fall has brought. When you look at it from all those different standpoints, it begins to make more sense. Paul comes out looking a little better, he doesn’t look so much like a chauvinist to me. That’s good news, because I didn’t want to think of him that way, but I didn’t know how else to think of the guy. Keep in mind that Paul — his main concern was not silence, per se, specifically, but his concern was for the order in the churches. This gave them respectability, new people could hear, and believe the gospel of Jesus Christ. That was Paul’s desire. He was a missionary. He told us, in his letter he told the Corinthians in 1 Corinthians 9:22-23, “I will do anything to advance the gospel.” Believe me, and he did. Even if it meant telling a group of women to be quiet for a while. I truly believe, according to 1 Corinthians 9:22. I’ll read that. “To the weak I become weak. To win the weak I have become all things to all men, so that by all possible means I may save some. I do all of this for the sake of the gospel, that I may share in its blessings.” I believe Paul would have done whatever it took to honor, and to advance the gospel. That was his main concern. Make sure that the Jews and Gentiles get along. That they have order in their assemblies, and that those assemblies can receive new visitors, and that they too can share in the blessings of Jesus Christ, and be a part of the body. That the church could go into other places, and advance into new cultures. In Spain, and in different languages. They would have to figure it out there, but where they were, they needed to have certain cultural guidelines in order to advance the gospel, and that was Paul’s concern. This huge concern, the gospel preached, and Jesus known in all of the world. The great irony today, is the way we have limited women has in many ways served to stagnate and repel people from the gospel, rather than advancing it. The following is the first part of a sermon I preached in the summer of 2010 called, “Women Praying Allowed.” I will post this in three parts over the next few weeks. Here’s part 1. It’s a transcription so please read as such and know it has near exact wording of what I actually said. After posting the last part, I’ll also post the audio of the same transcription. Feel free to use this in your churches or personal use to further the kingdom, and also feel free to comment lovingly and directly with your opinions or questions in the comment area. The title of today’s sermon is “Women Praying Allowed.” I grew up in a church where women did not speak in our assemblies and many of you did, too. One night at my home church, we had a Sunday night singing. That’s where anyone — any boy or man — could get up and lead a song and they did. The women, they could shout out song numbers. Some didn’t take too kindly to these numerical outbursts by the women, but they tolerated it. One night, a woman who was new to our church and our traditions, she commenced to walk toward the front to lead a song. To the credit of our home church, she sang the song, she led it and everybody — a lot of people — sang along and she finished. Afterwards, one of the ladies took her aside and told her a little bit more about our traditions. Believe it or not, over the centuries, since the early church, churches have had no uniform or unified view of the role of women leading in worship or leading the church. Because of certain interpretations of a few disputed passages in scripture, notably in the letters of Paul, many have learned a knee jerked “uh-oh” impulse when we talk about women leading in churches. Today, in our series, “Talking Back to God: Speaking Your Heart to God Through the Psalms,” we’re going to experience women praying out loud. We’re going to look at three different psalms that were written by women. We’re going to have to go outside of the actual “Book of Psalms” to find those, but there are, at least, three psalms written by women in the Bible. At the same time, we’re going to tackle some teaching that we’ve talked about in classes and we have discussed informally, but in the 41-year history of Garnett, we haven’t fully laid this out from the pulpit, a new examination and a biblical overview of the participation of women along with men in leadership in worship assemblies. Garnett has broken a lot of ground over the years in women participating in worship. Women lead worship on the Praise Team, they lead ministries, and, in fact, a few years ago, the name was changed was changed from deacon to ministry leaders to avoid some thorny territory of whether or not we should call women deacons. But women led ministries and have led ministries for many years at Garnett. At Garnett, we have core beliefs, things like God and Christ and the Holy Spirit and, “We believe our faith in God is displayed in our love for each other.” That’s one of our core beliefs. But we also have Heritage Commitments. Those are things that we do not believe are salvation issues and, from time to time, these need to be re-examined. It’s an important healthy part of what we ought to do. One of those Heritage Commitments is both men and women serve in positions of leadership. Only the roles of lead minister and shepherds are male-specific. That’s what our documents, one our Heritage Commitments says. This does not limit women from praying, leading worship, speaking publicly in different settings. We do mission reports and various things. We do these often, but we still have that “uh-oh” response when it comes to women being in front and doing certain things, like leading prayers and leading in worship. We’re going to take this one step at a time. We’re going to take our Heritage Commitments, we’re going to take those things, like preaching and shepherding off the table. We’re not talking about those today. For those of you worried about that, breathe a sigh of relief. For those of you who want to hear more about that, that’s a discussion we can have. It’s an open discussion, but for today, we’re going to talk about women praying aloud in worship. It’s incredibly important that we enter these discussions with humility and we stand on this holy ground that we just sang about. That these core beliefs that we so believe that God created the universe, that Jesus is the Son of God, who imparted the gift of the Holy Spirit. We believe in the Church as the body of Christ called into the world to love others and to spread the gospel of the love of God. We believe the Bible as God’s Word to us in our only rule of faith and practice. Those are the Holy Grounds, the core beliefs that we stand on and it’s important that we mention those. This is sacred ground for us, but our Heritage Commitments are something we should re-examine from time to time. Today, we’re going to look at Women Praying Aloud. As we do that, we’re going to use a prayer from Paul, in “Philippians 2:1-11” as our prayer, as we enter into this. “If you have any encouragement from being united with Christ, if any comfort from his love, if any fellowship with the Spirit, any tenderness and compassion, then make my joy complete by being like-minded, having the same love, being one in spirit and purpose. Your attitude should be the same as Christ Jesus, who, being in very nature God, did not consider equality with God something to be grasped, but made himself nothing, taking the very nature of a servant, being made in human likeness. And being found in appearance as a man, he humbled himself and became obedient to death, even death on a cross. Therefore, God exalted him to the highest place and gave him the name that is above every name, that at the name of Jesus every knee should bow, in heaven and on earth and under the earth, and every tongue confess that Jesus Christ is Lord, to the glory of the Father.” Amen. That passage speaks of the humility of Christ that we all, regardless of where we come from in this discussion, need to have. It’s not humble for me to think that all of you will agree with me today, but can’t you try? I don’t expect you all to agree with me, in what I’m going to say today. Nor do I expect everyone to agree with me any day that I speak because full agreement is not the point. The unity that’s spoken about and prayed for does not mean full agreement. It means standing on these core beliefs, bearing with one another, and hearing one another out. It’s also not humble for you to cross your arms and refuse to hear another view, from God’s Word today. Today, as always, we approach God’s Words and we will look deeply into God’s Word. That’s what we do every Sunday and I encourage you to bring your Bible. We have great Bible classes, a new one by Beth Moore, John Heart’s class, James Lawrence’s class, all the students’ and children’s classes. We dig into the Bible in those classes and we dig in the Bible in our worship. I encourage you to bring your Bible. It’s the Bible and people who have explained the Bible to me and have taught me, and people that have taught you. We hear God’s Voice though the Word and through these people. I’m indebted to Mike Cope, Sara Barton, Scot McKnight, and many others who helped to open my eyes to new things in the Word, in particular, some of the things that we’re going to talk about today. Remember that we come through different experiences in life and we need to hear our brothers and sisters. After we’re finished today, I hope that you will not make a beeline to me with positive or negative, you can talk to me in time, email me, talk to me any time, but that you pay attention to your brothers and sisters, some that may struggle with what I’m going to say today, and that you’ll go to them, first. We come from a lot of different angles. There’s Lindy. Lindy was a missionary in the Bronx, in New York City. When she went to her supporting church to do a report, as she walked up to the stage to lead, when she got up to do her report, a family walked out just because she was a woman. There’s Rayann. A woman who experienced a seven year old boy praying in the church assembly, in her church in Texas, and she wondered why a little boy can pray, when she, a mature Christian adult, could not. There’s Judy, who hears people say, “Women’s role, issue, is a salvation issue,” and she’s scared to move off traditional views, fearing for herself and her children, and her grandchildren. That if women’s roles are expanded, they might spend eternity in hell. There’s Duane, an elder who is caught between his wife, and his daughters, and a son with all different views on gender roles in the church, and can’t agree. He feels caught in the middle. There’s Donna, who for 40 years has been teaching Sunday school, and making her best dish for potlucks, and visiting the sick and widows, and praying. She takes these seriously, but she also takes some statements about expanding women’s participation as offensive, because do her contributions not matter? There is Katy, she’s a biblical studies major, who easily accept that there is some culturally limited, and temporary explanations for Paul’s silence passages. She thinks the male dominated way we do things is weird, and even unjust. There’s Robert, he feels that his marriage will come apart if mutuality and equality is discussed, and practiced in his home. Then there’s Ida, who has spoken to us in our church twice when she was in the United States. Our Ugandan friend, Ida. She is the first to show up at funerals, cook, and help the family, grieve with them. She’s a great song leader, speaker, and reader. Very spiritually gifted in these areas. And then a short-term missionary a few years ago took Ida aside, and told her that it was sinful for her to speak in front of the church. Then there’s Kenneth, and he just gets mad every time the topic is brought up. There’s our Garnett students, a few years ago, they helped to lead — not lead even, but just to serve communion, and they were criticized to their face by some of our members. I don’t know if those members are still here, but if you are here, I want you to think about that deeply, today. Then there’s — I think about my daughters. I have two daughters, and I have two sisters. In ways of spiritual formation, they’re being raised in such different ways, and different times, but I deeply want them to be spiritually formed. All four of those women. My sisters, and my daughters, my wife, my mother. I think of all these women, and the need for them to be spiritually formed, and to be able to pray out loud, and be fully valued in the church. Today, we come from a lot of experiences, and we’ve sketched a few experiences, but it’s important for us to look at scripture. That’s our bread and butter. That’s where we need to come from, and so we’re going to look at a couple of kinds of passages in scripture, on women in ministry. Those two kinds of passages are these types. I’ll just throw up this slide. WDWD and WKSB, that clears it up, right? The two different kinds of passages are, “What do women do?” in the Old Testament, and the New Testament? We’re going to look at passages about what women do in the Old Testament, and New Testament. Then we’re going to look at the “What women keep silent,” passages in Paul’s letters. It’s important to look at both of these, and also to look doctrinal teachings beyond those. Let’s go first to the Old Testament. What do women do in the Old Testament? Exodus 15:20. Do you remember Moses’ sister who stood by hiding as Moses was put into a basket in the river? She watched Pharaoh’s daughter take Moses out of the river. It was then that she approached Pharaoh’s daughter, and then she went to get her mother. They ended up caring for Moses. From all indications, that was Miriam, Moses’ older sister. If you look closer into that story. Then in Exodus 15. Miriam comes up again, and then in Numbers 12, speaks of Miriam. She is described in Exodus 15:20 as a prophetess, and credited with one of the oldest Psalmic lines in history, and that is this, “Sing to the Lord, for he is highly exalted. The horse and its rider, he is hurled into the sea.” Sean spoke about those times in our life. Those markers when Psalms come out. For the Hebrew people, those markers were victories in battle. They were times of exile. That’s when those Psalms would come out. This was a Psalm of victory Miriam helped to write, and she’s credited along with Moses as writing. She leads the assembly in worship. Later Miriam and Aaron challenge their brother Moses, because they too were prophet leaders of Israel, but God was not pleased with them, and called them to the tent of meeting. As a special case, but it didn’t have anything to do with Miriam being a woman, that she was punished. Later, Moses prayed for her, and she was healed. Another female prophet is named Huldah. How would like to have a name like Huldah. I hope nobody’s named Huldah in here. If you are, please forgive me. 2 Kings 22:14 records a story of Josiah, king of Judah, and his royal court officials finding the book of the law. The needed a prophet. They needed someone to come in, and authenticate this, because it had been ignored and neglected for so long. Josiah could have called any of the contemporary prophets that were of that day. There was a choice from Jeremiah, Nahum, Zephaniah, Habakkuk. He could have called any of these holy people, these prophets, but Josiah picked Huldah to come and interpret the law, and authenticate it. Which she did. We don’t have time in this brief survey to mention leaders like Esther, and models of faith like Ruth, but we’ll look at one more female prophet in the Old Testament, Deborah. Judges 4:4-9 describes Deborah as a prophetess that led Israel. Like Miriam, she is credited with a battle victory song in Judges 5. It’s a little more — It’s pretty detailed. It’s pretty graphic, what happens in that text, and in the Psalm. Writing Psalms, and singing is connected with prophecy, and influence in the Old Testament. What did women do in the Old Testament? They did many things, but we’ll mention these. They spoke for God. They led the nation in all ways. They sanctioned scripture, guided Israel, prophesied, which is to say they preached. They led Israel back to ways of righteousness. They acted courageously and they risked their lives. Derek Webb wrote a new song in which he expresses that over his musical career he’s tried to say three basic things: “I was wrong, I’m sorry, and I love you.” I brought these together with words Anne LaMott (great memoirist and novelist) and Nicky Gumbel (Alpha.org) say we can express to God. I then stayed in one Bible text and sewed these together with powerful words from 1 John. Is God Silent or Are We Silent? Does God speak today? Most people would say that he is silent. Could it be that one reason God is silent is that we are silent? Do we really speak to him as if we want him to talk back? What if we actually spoke our prayers to God–aloud–even when we’re alone? Some of you probably do that. There’s times when I’m alone in the house with God, me, and the dog. I’m talking to the dog, I’m talking to myself, I’m talking to God and I’m not sure I know the difference sometimes. Thinking a prayer, not saying it out loud in community was likely not very common in the first few millennia of humanity when anything written that was read was read aloud. Prayers and Psalms were spoken aloud in community. This is how we got the Psalms. Augustine describes his friend, Ambrose when he read. Hannah (1 Samuel) was thought to be drunk when she prayed moving her lips but without speaking. Some of us are mouthing words, giving lip service, but it’s not ourselves but some alter ego or mimicking . . .
Robert Benson tells a story about Beattie who prays and God seems to always hear and respond. Beattie prays for a man’s back to heal, and the next day the man reports he is pain free. Beattie prays the rain will stop after a long bought of floods. And the rain stops. Benson says that he tried praying like his friend Beattie but nothing seemed to happen. What was wrong? Was he not sincere? Was sin standing in the way? What red tape had come between he and God? Did he need to make his requests to God through someone more spiritual like Beattie? Get a quorum before the Lord through Facebook prayer requests so more people praying, maybe God would listen? 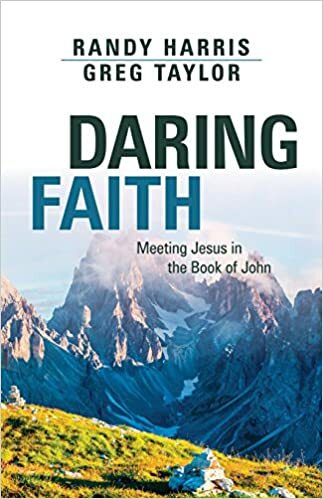 Benson says one day he finally realized that perhaps God was not answering his prayers because he was trying to pray like Beattie and not like Robert Benson. He was a fraud before God. I confess I’ve been a fraud. I’ve asked God to rubber stamp my plans instead of humbly and openly asking God for his wisdom and complete direction on a matter. Perhaps God is unwilling to speak to me because he knows I’ve already decided and all I want is his rubber stamp. What if I came to God with no pretense? What if I asked God to show me what to say, what to do on a daily basis, with tough decisions, with career and family and church decisions? What if God is not speaking to me because whenever I talk back to God all I’m doing is mimicking someone else’s prayers, asking for rubber stamps, and sinfully and selfishly asking only for what I want without caring one dry fig about what he really wants! Praying aloud is a metaphor for asking God for his rule and reign in our lives. The act of saying out loud, “God, what do you want me to do today?” is an act of giving over control and power. For some of us, in the face of asking God for direction everyday, we’d rather just tough it out on our own. In reality, that’s what most of us are doing. 24/7 Week of Unbroken Prayer at Garnett: We were amazed! This week Garnett kept 24-hour vigil in response to Jesus question to his disciples, “Can’t you keep watch with me for one hour?” (Matthew 26:40). Today at noon concludes our 24/7 week of unbroken prayer. More than 100 participated and prayed at all hours, filling 168 prayer times through the week. What did this do for the kingdom? The answer is that we discovered prayer is not as much getting our will done in heaven as it is asking for God’s will to be done on earth. We were praying in the spirit of the Lord’s Prayer: asking forgiveness of our sins as we forgive others; dozens of cards were taped to the wall with prayers of all kinds, a student prayer mural hung on the wall. A boy’s memorial to his two brothers hung on the wall and we shed tears as we prayed for Tyler and boys like him worldwide who need love and hope. Today, we pass the candle on to Kirk of the Hills Presbyterian Church. No missionary movement, nothing great, no revival, nothing bigger than the people praying has ever begun without a movement of prayer. May God continue to teach us to pray and may He raise us up with Christ. Remember haiku from grammar school? You thought it was corny, right? OK, you were partly right. But consider this: haiku is a way of sabbath ceasing for any moment of the week. It’s a way to jot down, reflect upon, and capture a moment in time. Turned toward God, it becomes another form of prayer. Anna turned 10 September 1. Our family is searching, and I want to encourage other families to search and with us discover new ways to be aware of God’s presence on occasions we have secularized in our culture. Birthdays are occasions that can be reimagined this way.
. . . Today is a special day in the life of our family, for on this day we celebrate the birth of Anna . . . let’s give thanks to God. Father, we praise You for every perfect gift that comes from above. You have gifted us with the life of Anna. Now we bless you for her presence in our family. Grant, we pray You, that Your blessing rest upon her all the days of her life. Amen.